This article by Teach.com, a comprehensive guide on careers in education, will explore the topic of navigating the undergraduate enrollment challenges of today. The higher education landscape is constantly evolving, influenced by generational trends, the economy, politics, and demographics. As guidance counselors, advisors, and educators, those working in higher education have the challenge of continuously developing policy and adjusting to the internal and external changes that each academic year brings. The past three years have brought a decrease in higher education enrollment across all sectors, with the hardest hit institutions being 4-year for-profit followed by 2-year public colleges. In spring 2018, the average enrollment drop among public institutions was 0.9 percent. What factors are contributing to this consistent trend? Apart from a natural demographic shift with a smaller 18-24-year-old group entering higher education, we’re observing several other causes. The following are some of the core undergraduate enrollment challenges of today and ways educators can respond to continue providing the best quality service to students. The U.S. Census Bureau states that as the economy has improved since the Great Recession, fewer people have opted for higher education, instead deciding to remain in the strong workforce. Of course, it’s logical for people to have less of a need for additional education, if the workforce is less competitive. When the economy weakens and jobs are scarce, the demand for more skills and knowledge increases in response. A decrease in international enrollments, traditionally a critical component to undergraduate enrollment efforts, has also become a trend, especially in the Midwest. International students typically pay more than in-state students, and some non-flagship public universities rely heavily on this additional income. While the United States is still the global top pick for international students due to a celebrated education system and relatively welcoming culture, some factors are contributing to the slowed enrollment rate. The Migration Policy Institute states that causes include everything from the growing cost of tuition, student visa delay times and denials, and a political environment less friendly to immigrants. Additionally, U.S. institutions face increasing competition over potential students from other English-speaking countries. The well-known issue of rising tuition costs has also spooked price sensitive individuals that may have otherwise desired a college degree for a chosen career path. Tuition at in-state public universities, for example, has increased by 243 percent on average in the last 20 years alone. Amanda Ryan, an academic advisor at Central Arizona College with an M.Ed. in Student Affairs Counseling, weighs in on some of the financial difficulties that students currently face. Through her direct experience advising a diverse set of students, she says that although students may qualify for financial aid, others must take out hefty loans to cover costs. Community colleges have been grappling with even steeper challenges recently. In advising primarily students from disadvantaged backgrounds, Ryan notes that other issues students encounter include finding time to devote to school when working full-time or having families to support, which make it difficult to attend class or complete assignments on time. On top of that, mental health concerns also top the list, leading to barriers that prevent individuals from enrolling at all or causing students to drop out. Inside Higher Ed reports that since the recession ended in 2010, two-year colleges have had a steady decline in enrollments, attributed to the challenges discussed above, in addition to the nature of community college. Many students are typically older and when the economy is stronger, they prefer to stay in the workforce. How Can Higher Education Respond to a Changing Landscape? Although universities and colleges across the nation face similar obstacles in undergraduate enrollment challenges and future growth, institutions can still take strategic action to best serve students in this changing environment. Ryan notes that in response, many institutions now provide a variety of support programs to attend to students’ needs. Most colleges and universities provide assistance with completing the FAFSA and interpreting financial aid information. Schools are also expanding their course offerings to include online and hybrid courses, and evening/weekend courses to better fit students’ schedules, with some degrees offered entirely online. Institutions also understand that completing college while juggling other responsibilities can be very stressful for students. In response, most schools have in-house counseling available to students whose mental health may be suffering, and there are also programs that provide peer to peer mentoring, staff support, or other forms of encouragement. Amanda Ryan herself works in a program that provides academic, personal, and financial support to students who are the first in their families to attend college. She can attest to the positive impact programs like this have on students’ ability to succeed in school. Career guidance counseling as well, can help students apply their studies to a viable career path and set a realistic end goal to work towards. Rather than trying to “sell” a college degree to future or current students, it’s critical to instead provide the context for what their college experience can help them achieve. 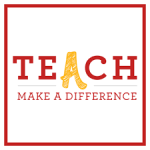 This article on the topic of undergraduate enrollment challenges is a contribution from Teach.com, a comprehensive guide on careers in education and speech pathology degree programs. Resources include information on how to become a teacher, teaching salaries, teacher preparation and certification requirements for all 50 states as well as information on teaching abroad. Click here for more education resources, including tips, advice, and industry news.